Sandwiched between Europe and Asia, Georgia is a remarkable country that should be high on your travel wish list. Blessed with vibrant small cities and World Heritage Listed ancient towns, complex history, fascinating culture and breathtaking landscapes; it’s easy to see how this small country captures the hearts of its visitors. 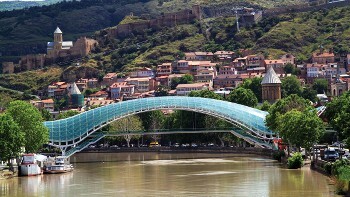 Start with the charming capital of Tbilisi, set dramatically on hills straddling the Mtkvari River. Wander the narrow cobbled streets of the Old Town, explore colourful markets and historic architecture with camera in hand, and enjoy culture, cuisine and nightlife. 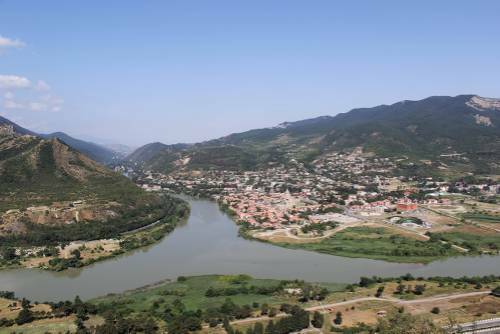 Visit the holy city of Mtskheta, a 3,000-year-old World Heritage site filled with historic churches and monuments. 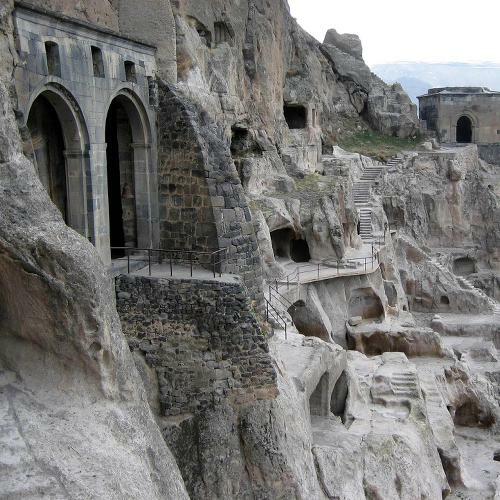 Head to the abandoned ancient cave town of Uplistsikhe, once a stop along the legendary Silk Road; then see the incredible cave city of Vardzia, a 12th century fortified monastery complex carved out of the slopes of Mt Erusheti. 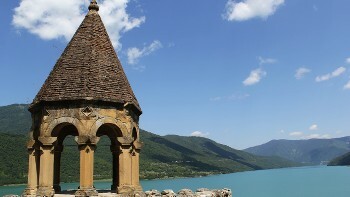 Explore fairytale stone villages where ancient cultural traditions have been preserved, journey through luscious green valleys dotted with farms and grazing livestock, and walk among the snowcapped peaks and glaciers of the spectacular Caucasus Mountains. 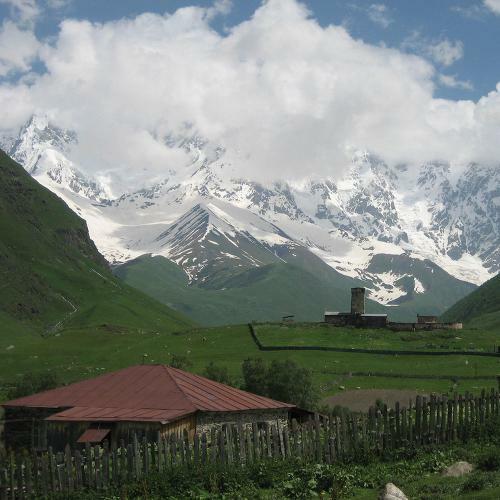 You can tour the highlights of this stunning country in comfort, or hike out onto the uncrowded trails of the Caucasus for an unforgettable trekking adventure. Whichever trip you choose, you won’t regret a visit to this stunning country. Visit the old city with its narrow streets and religious and secular architecture. 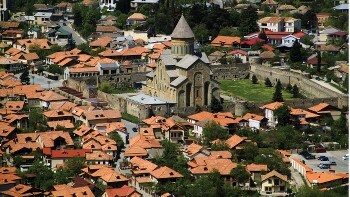 The ancient capital and religious center of Georgia, over 3000 years old and home to outstanding examples of medieval religious architecture. Literally meaning "fortress of the ruler", Uplistsikhe's ancient rock hewn town dates back to the 1st millennium BC. This Medieval cave city will astound you. 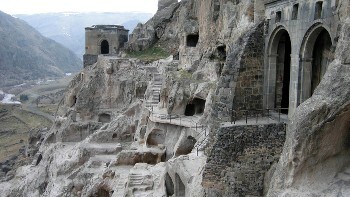 Carved out of a cliff-face, Vardzia was the main seminary for southwest Georgia from the 12th century. 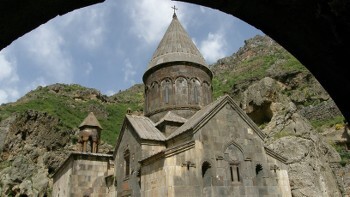 Geghard Cave Monastery is a UNESCO site and some chambers of the monastery were carved out of solid rock and possess exceptional acoustics. Our trips offer great value for money, taking in the country's highlights through guided walks and visits to ancient buildings. We aim to incorporate as many inclusions as possible in the trip cost such as most meals, quality accommodation, transfers and site entry fees. Bordered by the Caucasus to the north and the Black Sea to the west, Georgia has always been a cultural crossroads. Our adventures travel off the beaten path and into the heart of this unique country to take in the fantastic scenery, authentic food and warm hospitality that Georgia is renowned for. It's our expert field guides that make your Georgian experience special. The guides are highly experienced and have strong local knowledge and a love of their country that they are always eager to share. Georgia has a warm, temperate climate. The Likhi mountain range divides the country into western and eastern halves, shielding the eastern part of the country from the influence of the Black Sea, and creating a continental climate. The western part of the country can get humid and experiences rainfall throughout the year, although it is at its heaviest in the autumn and winter months. In the east rainfall peaks in spring and winter is the driest season; although the mountainous areas receive a lot of rain, generally the amount of rainfall decreases with distance from the coast. The official currency is the Lari (GEL), which is divided into 100 tetri. Euros, Roubles or US Dollars can be exchanged at any of the widespread bureaux de change, but other currencies should be changed at the bank. ATM machines can be found in the major cities. Electricity in Georgia is 220 Volts, at 50 hertz. The most common pin type is C. (2 round prong). Please note the following: The traveller must hold proof of sufficient funds, hold all documents required for the next destination and hold proof of return or onward tickets to next destination.